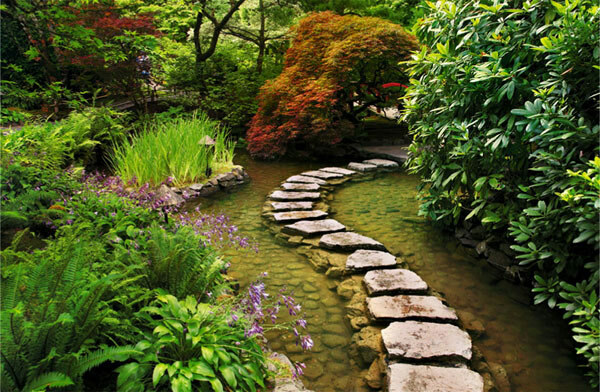 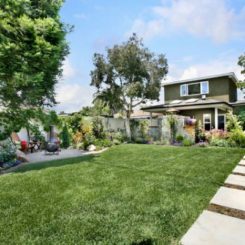 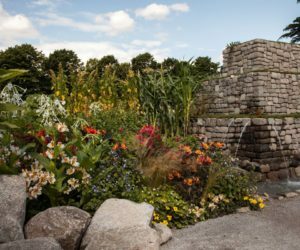 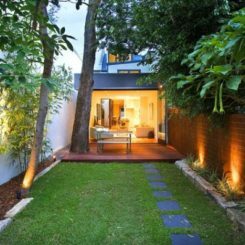 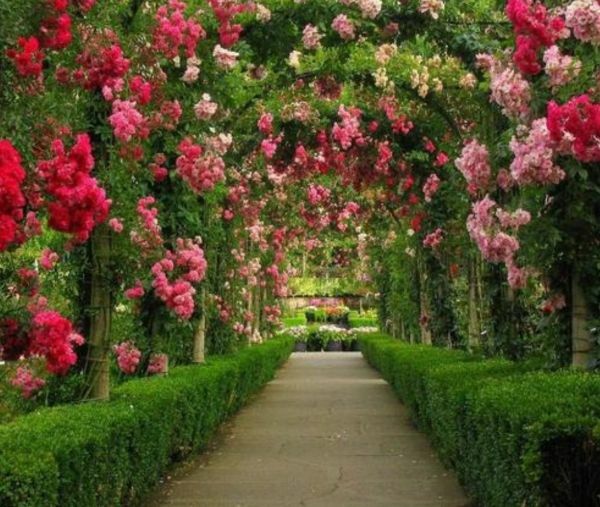 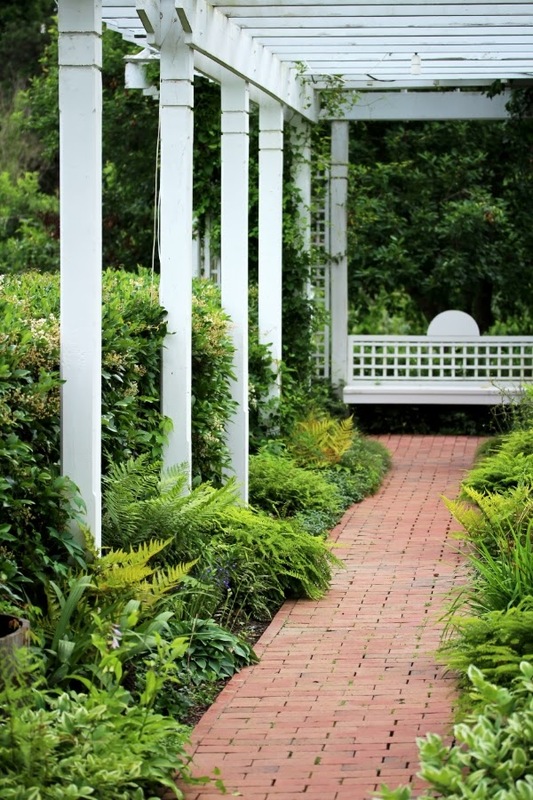 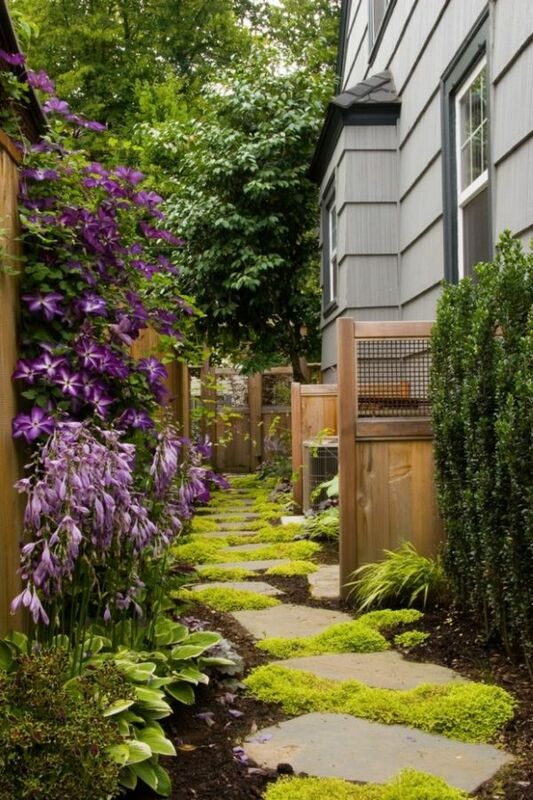 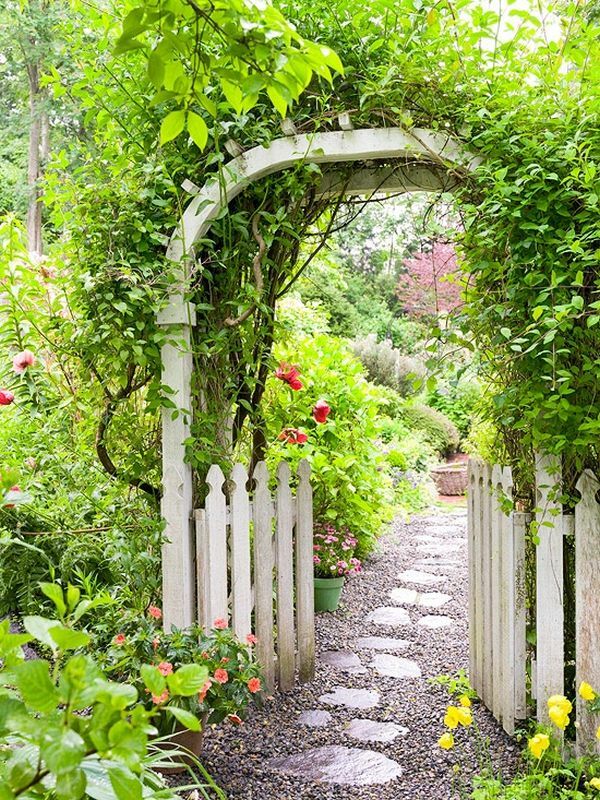 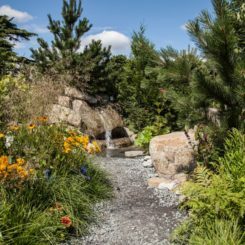 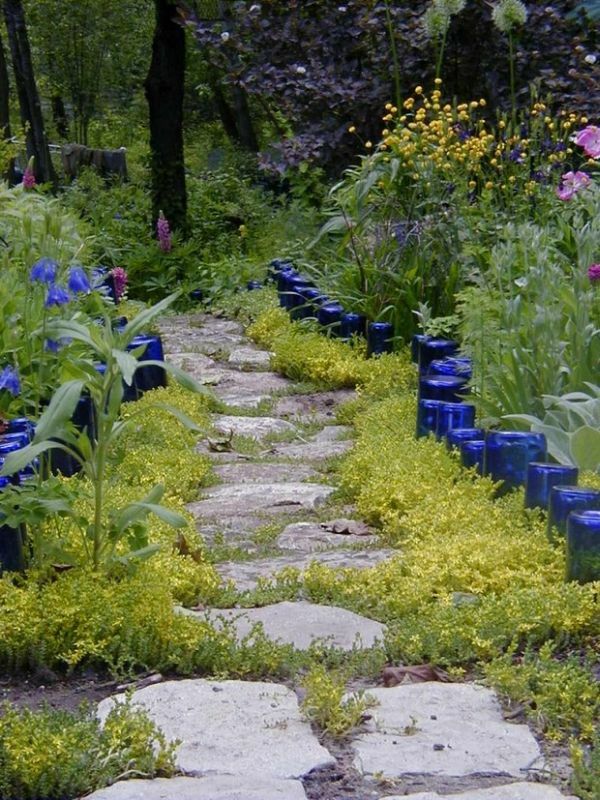 The garden pathway is a must-have not only because it enriches the landscape and make the décor more beautiful but also for practical reasons. 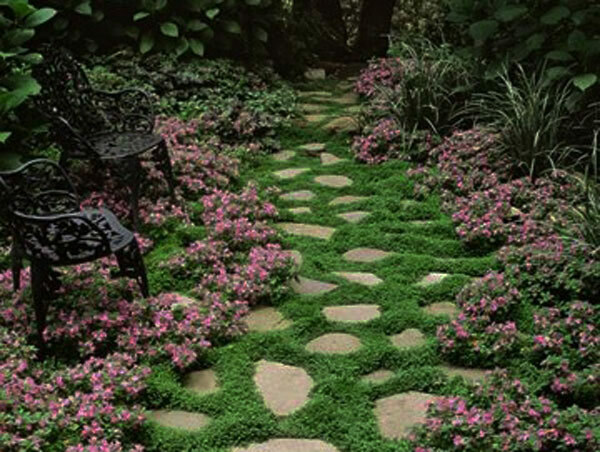 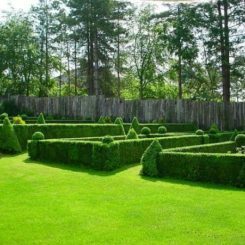 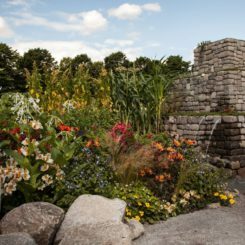 At its origin, the pathway was merely a means of traversing the garden without getting dirt on the shoes and without damaging the grass but it later became an important part of the landscape and designers have come up with all sorts of interesting ideas for how to make it stand out. 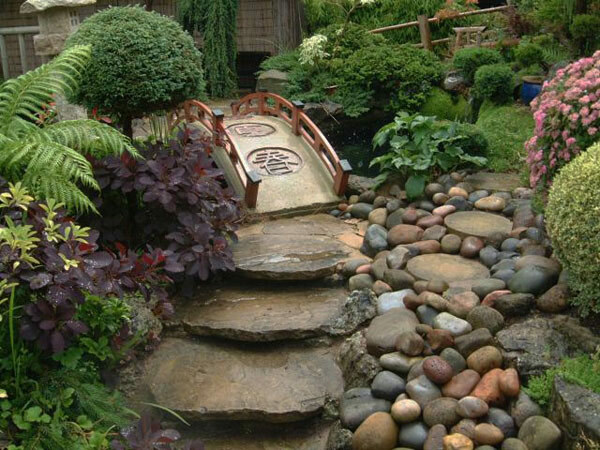 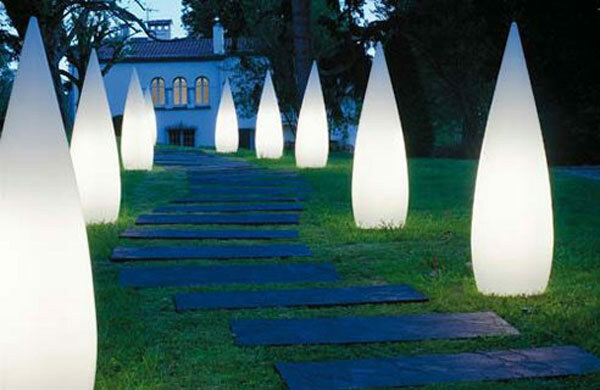 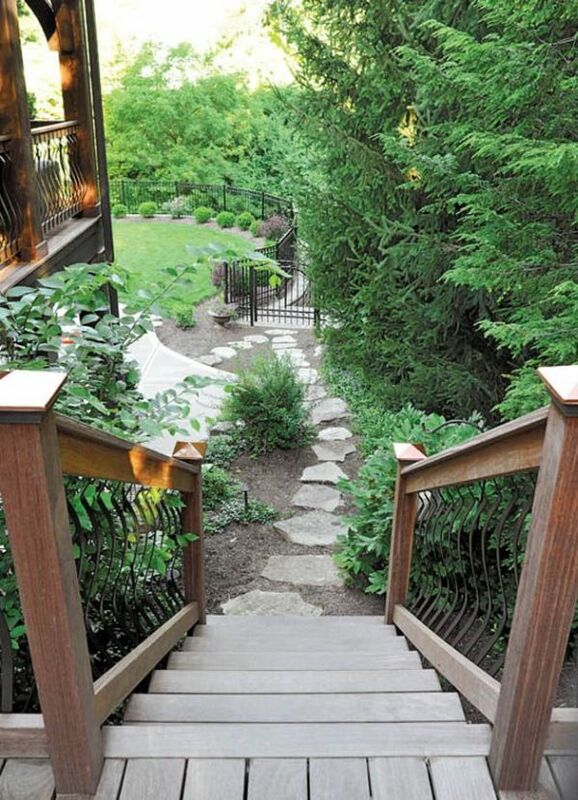 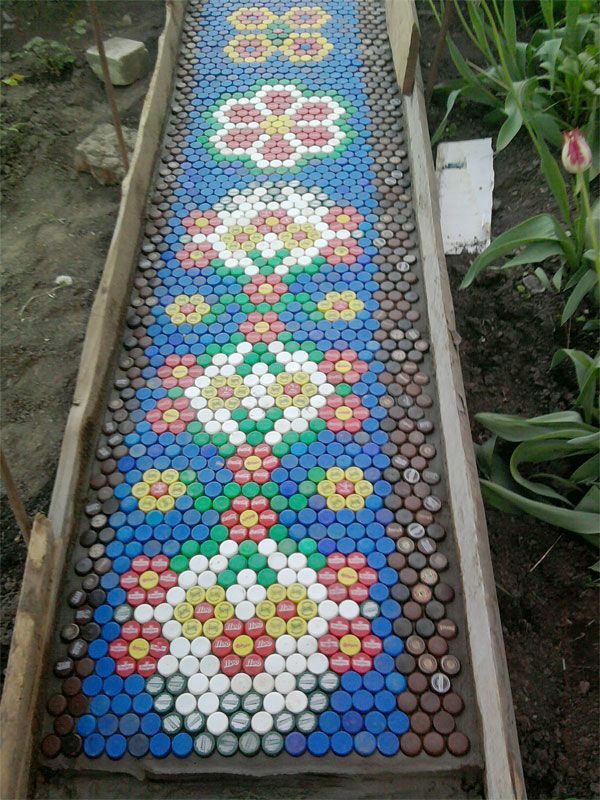 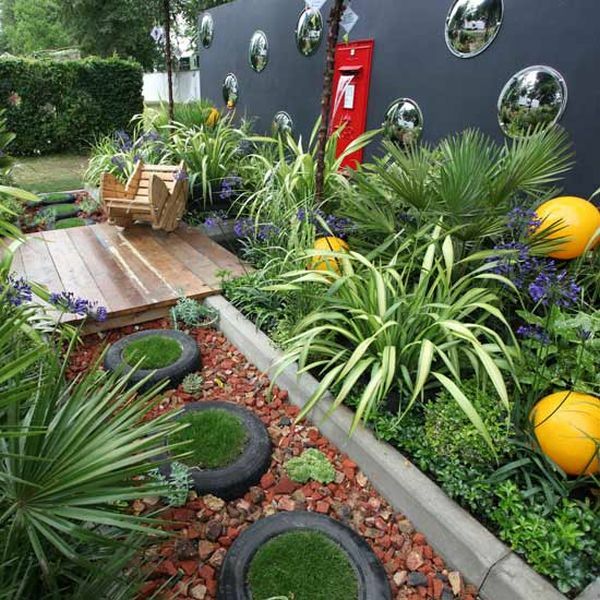 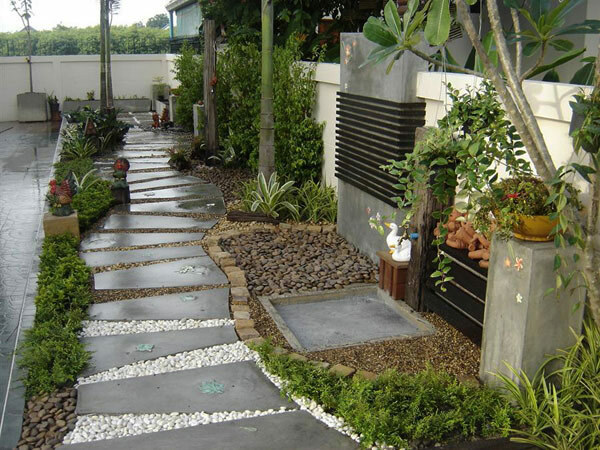 There are numerous interesting designs for the garden pathway. 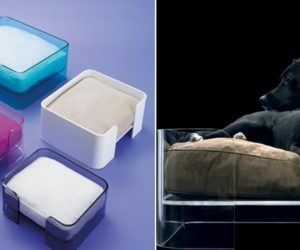 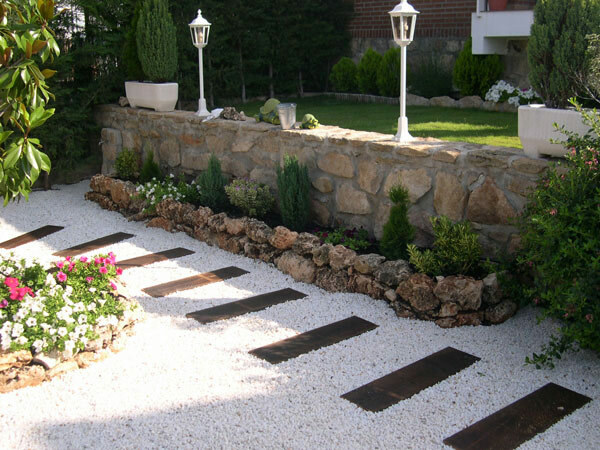 They range from simple and modern to sophisticated and elegant. 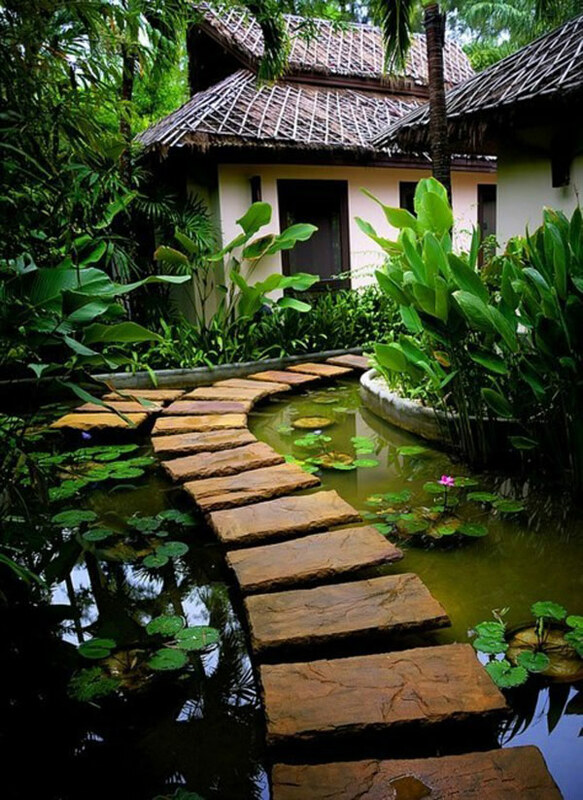 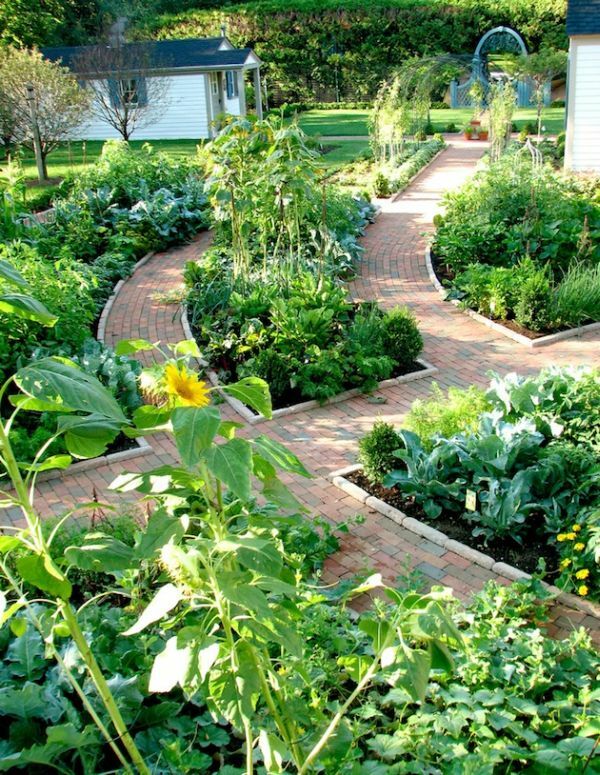 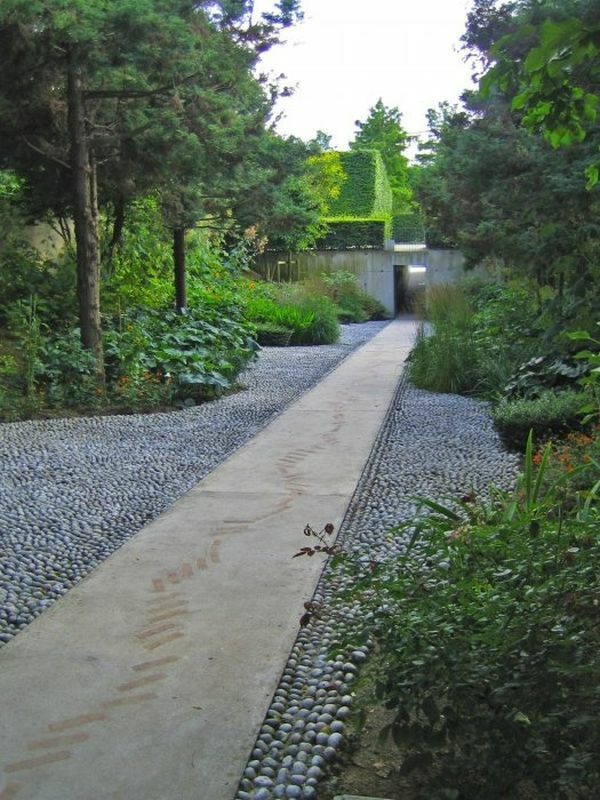 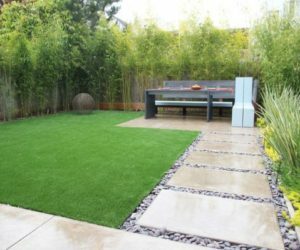 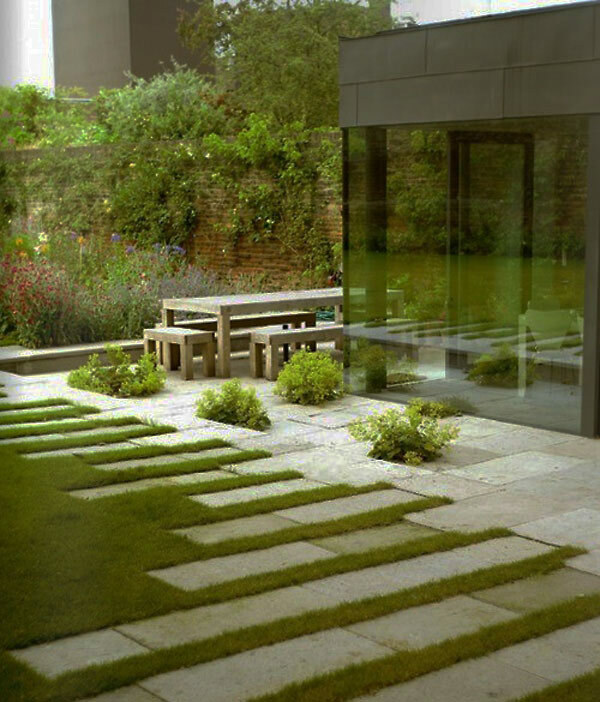 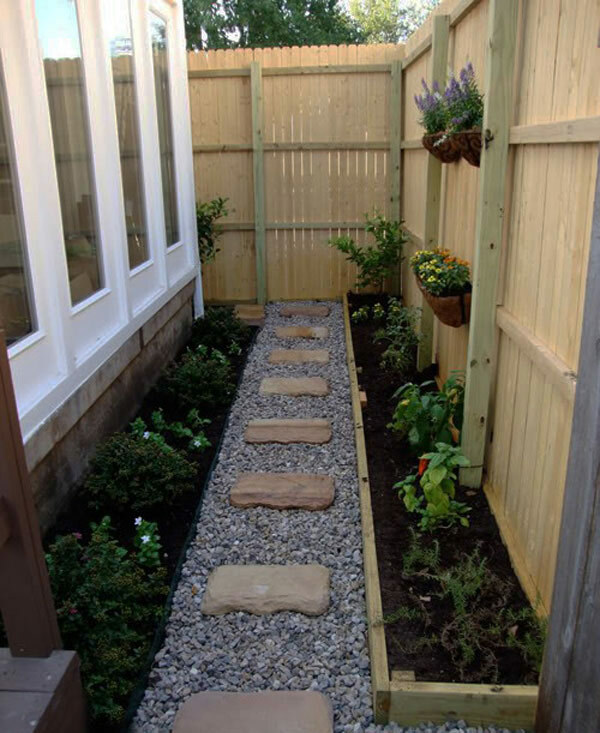 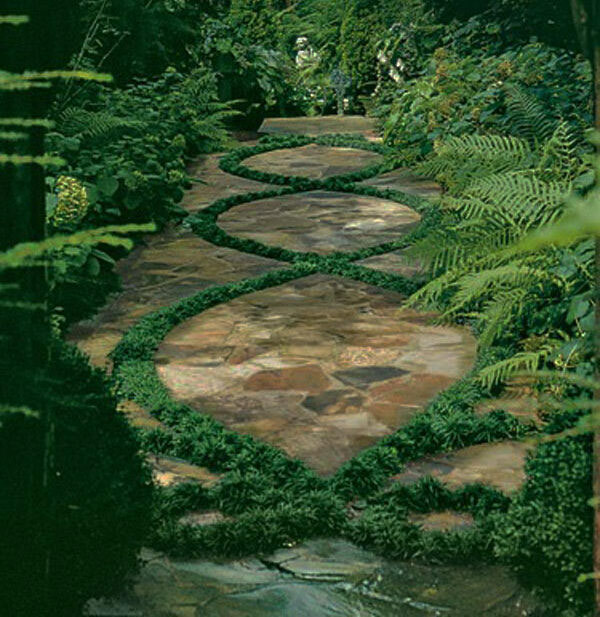 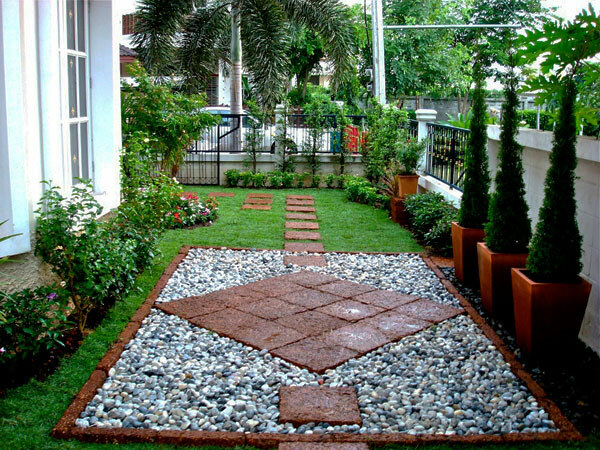 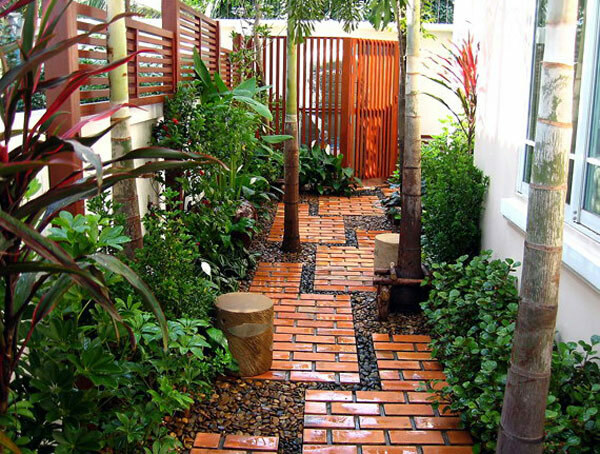 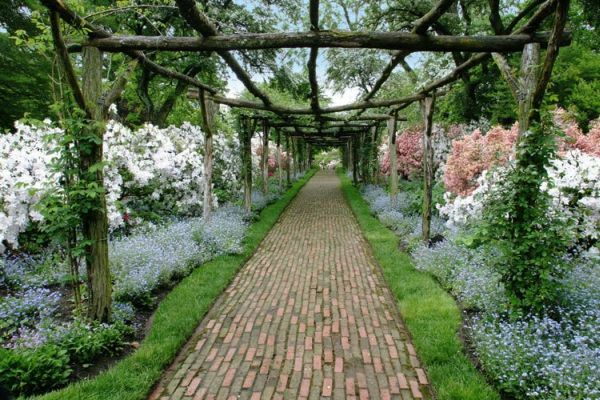 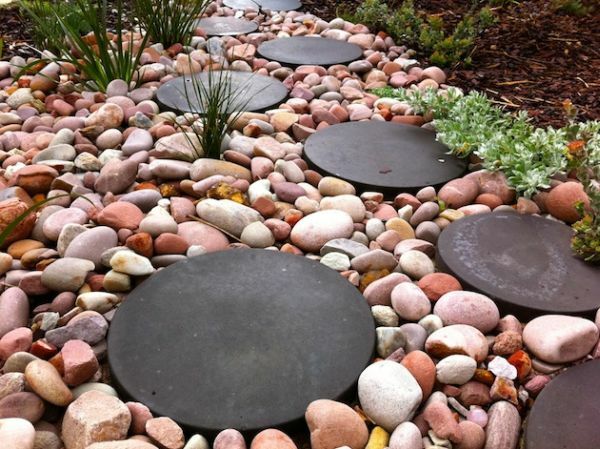 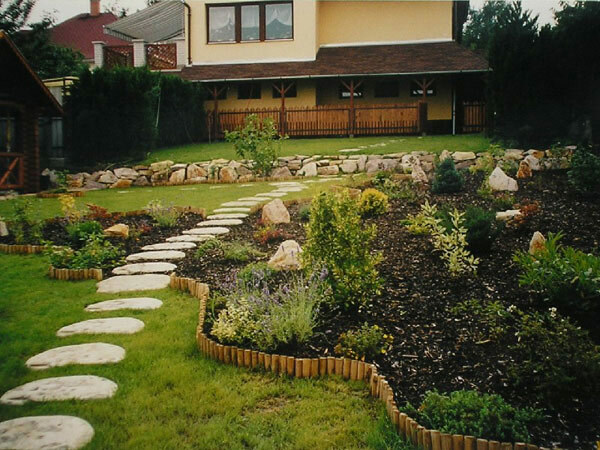 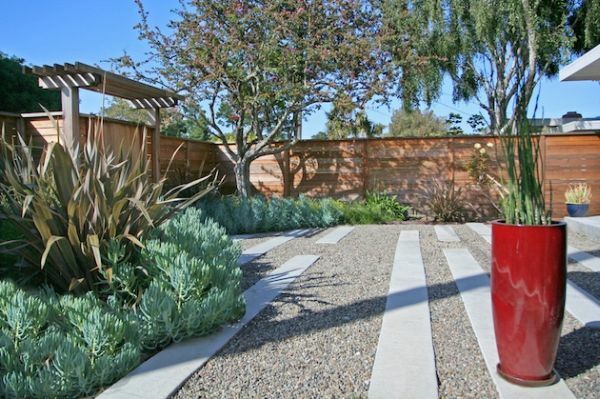 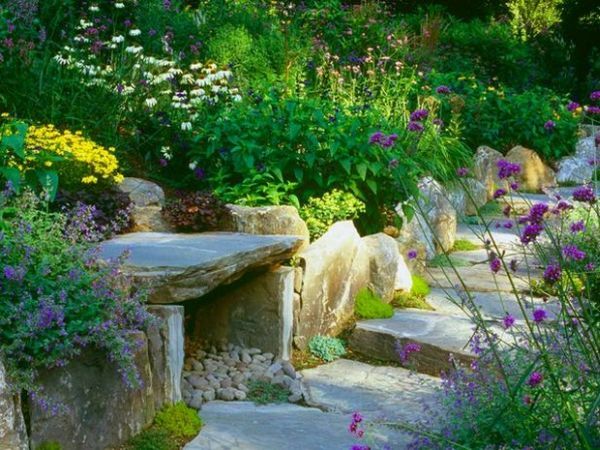 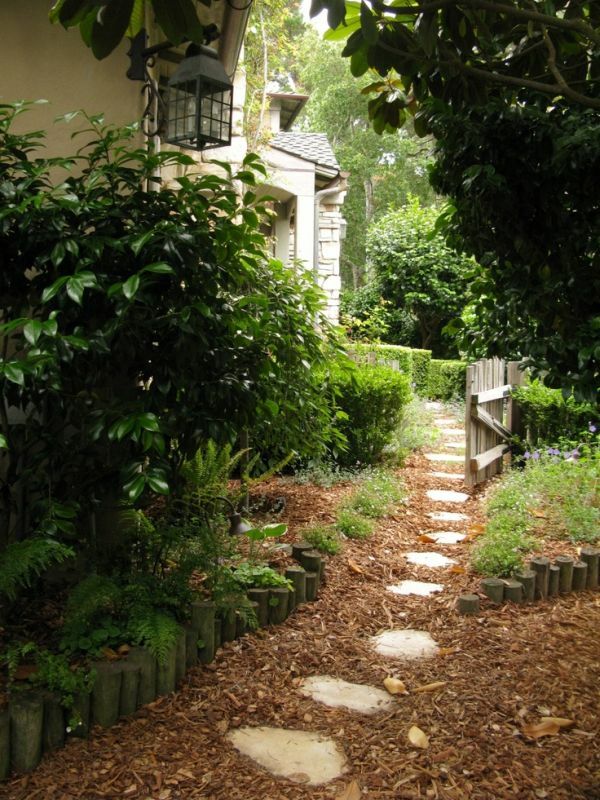 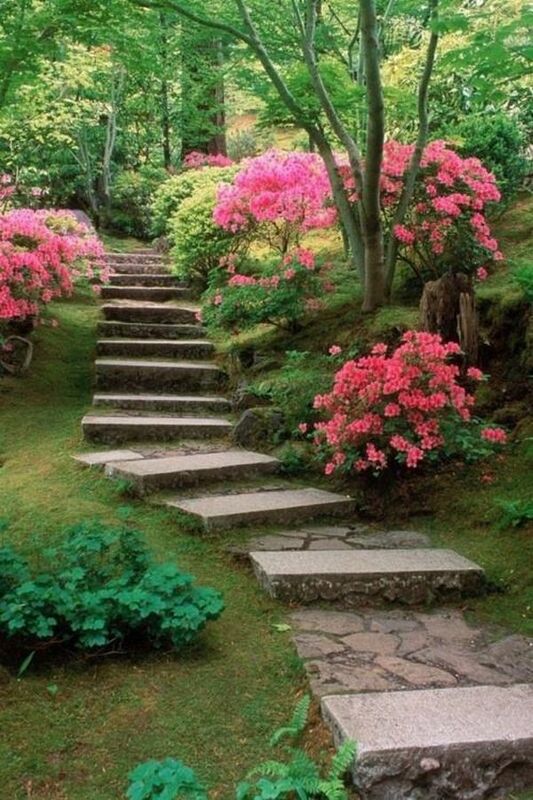 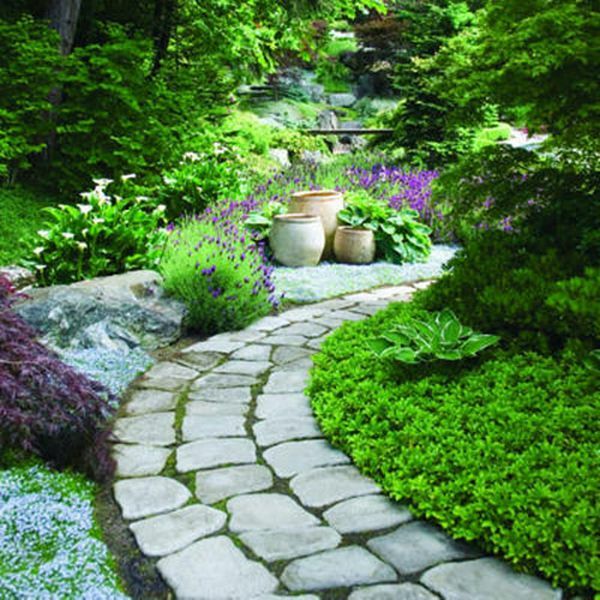 The pathway can be an extension of the design of the house or it can be a means to add texture and color to the garden. 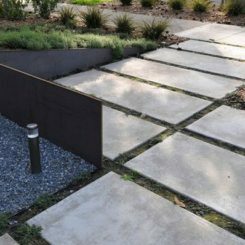 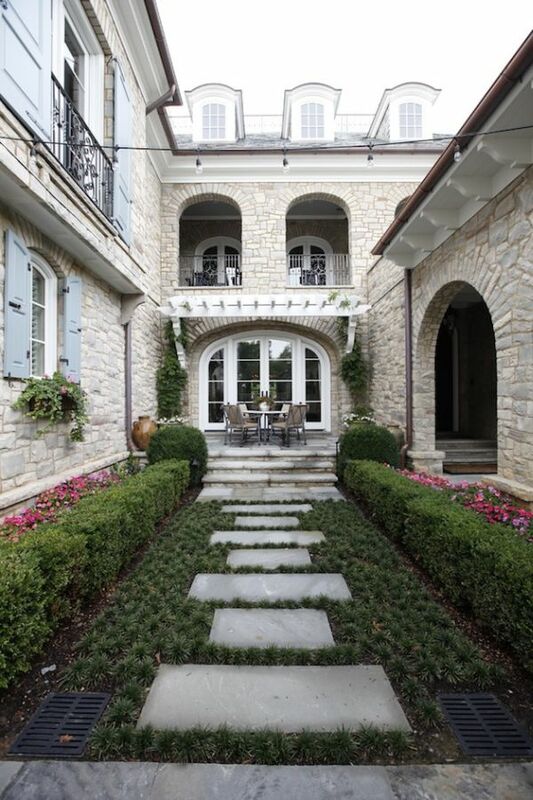 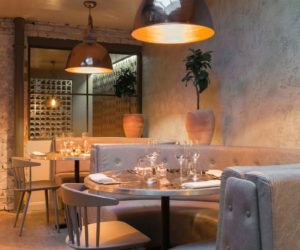 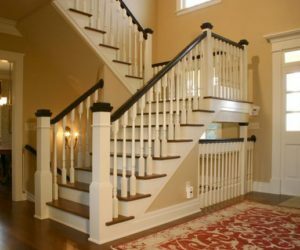 You can opt for all sorts of beautiful designs and ideas, for pathways that feature clean, geometric lines to pathways with delicate curves and combinations of materials. 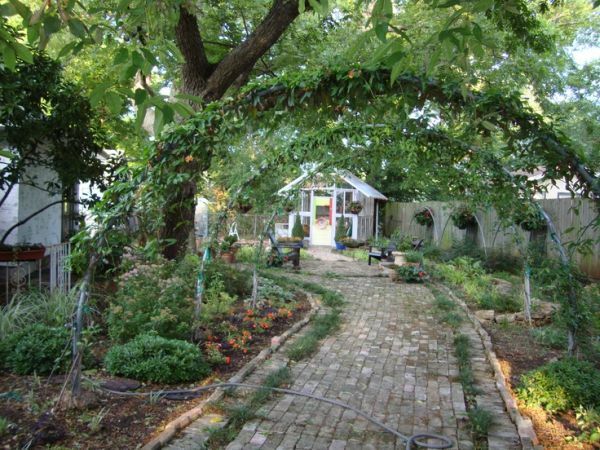 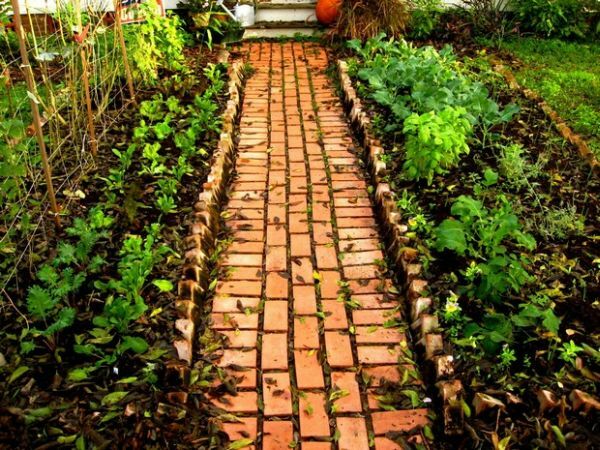 A more unusual but equally interesting charming idea is to use bricks to create a garden pathway. 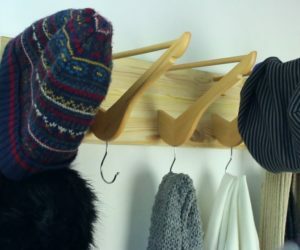 They can be arranged in a herringbone pattern or in a variety of other ways, creating textured and patterned designs. 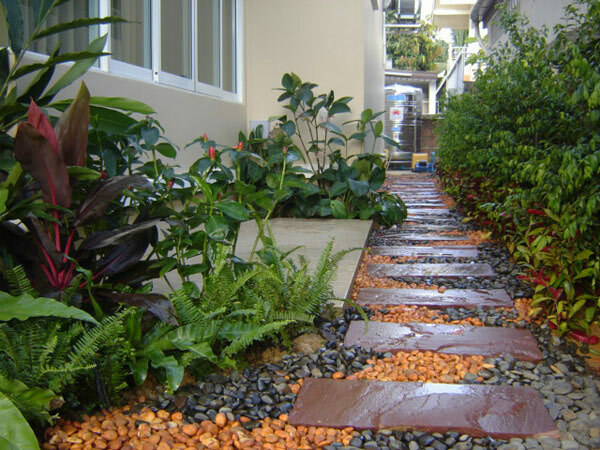 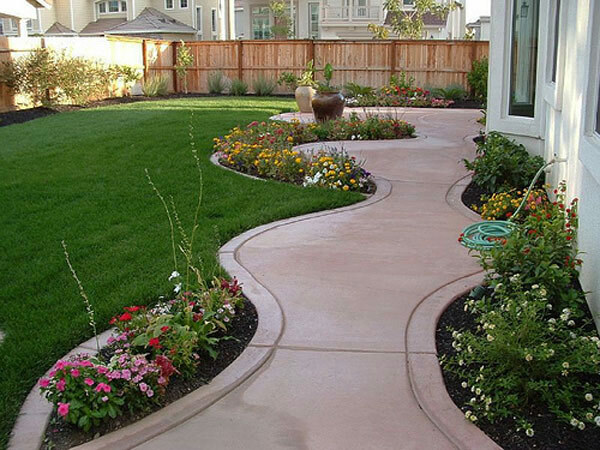 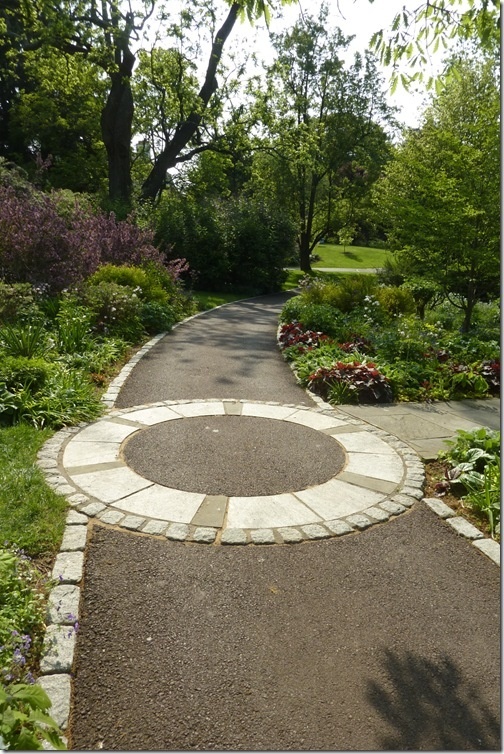 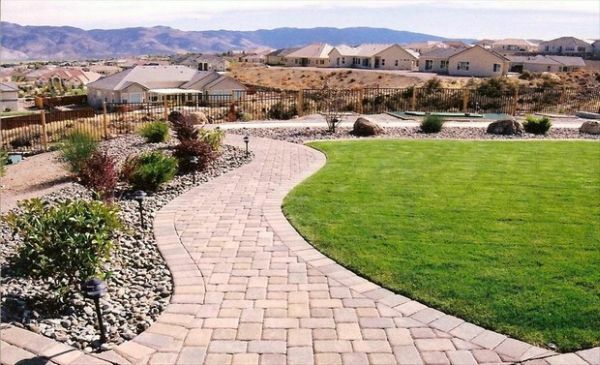 Two or more colors can be combined to create a trim or to emphasize the shape of the pathway. 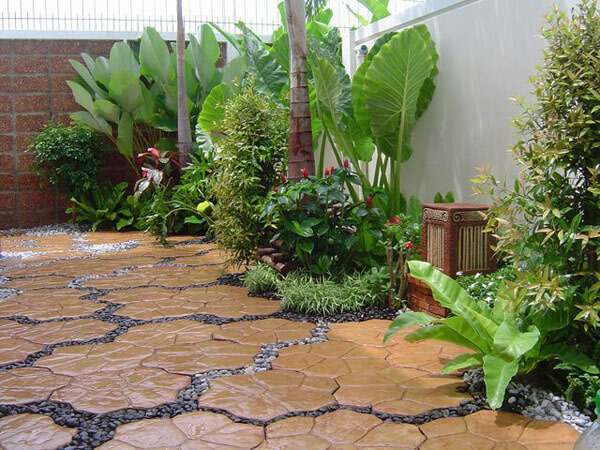 Some designs feature a combination of stores/ tiles/ pavers and grass. 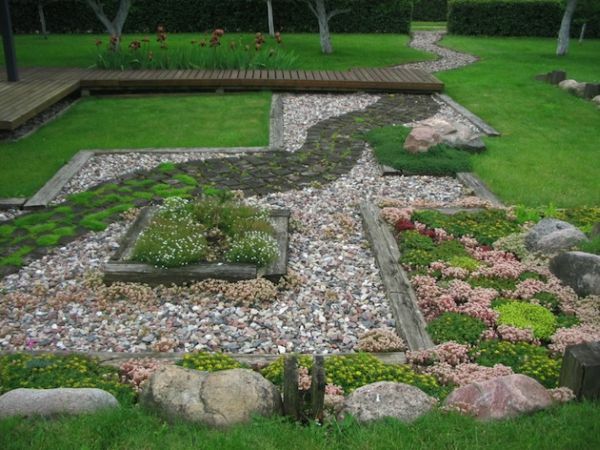 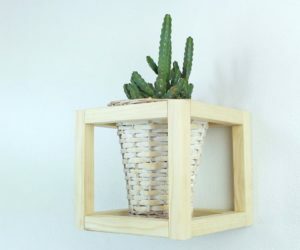 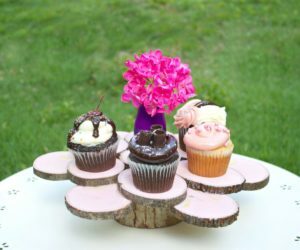 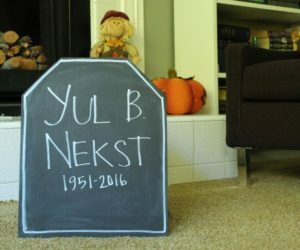 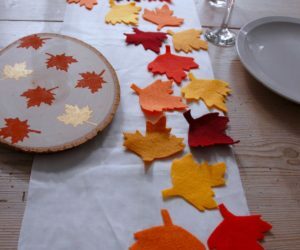 This is a great opportunity to get creative and to come up with unique and distinct looks for the garden. 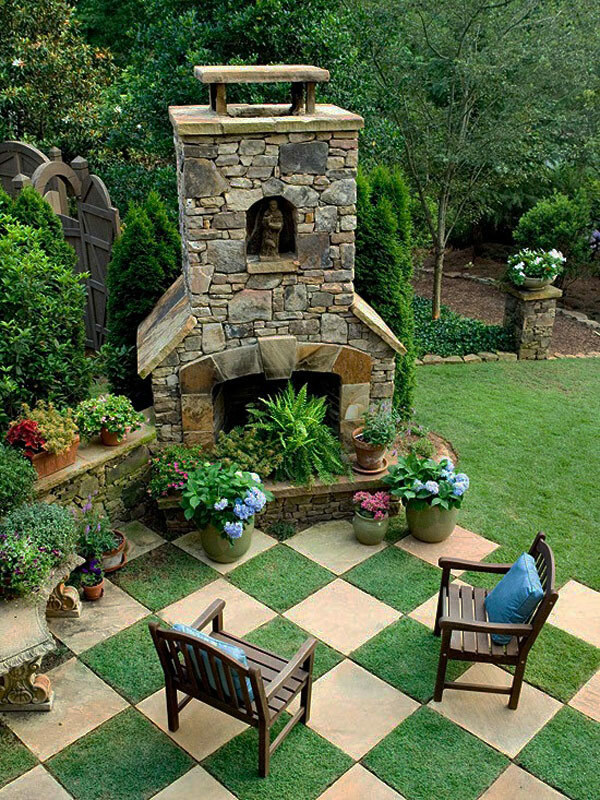 For example, try a checkerboard pattern where you alternate square tiles and patches of green grass. 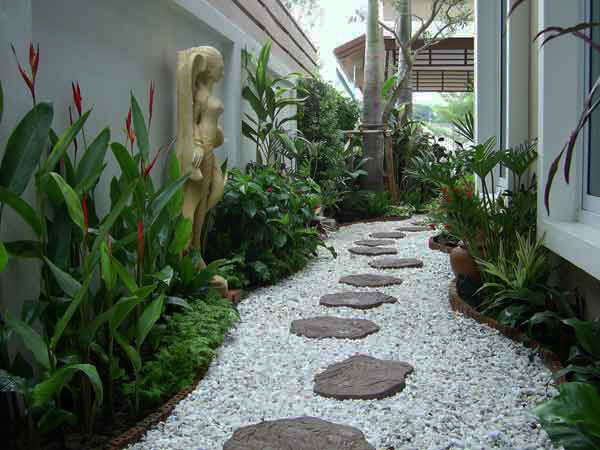 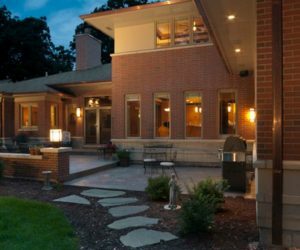 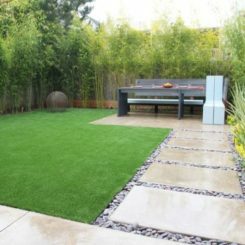 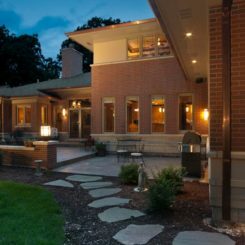 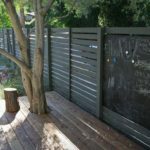 Choose the style of the pathway, its design and the materials and colors you use depending on the ambiance you wish to create in the garden or yard. 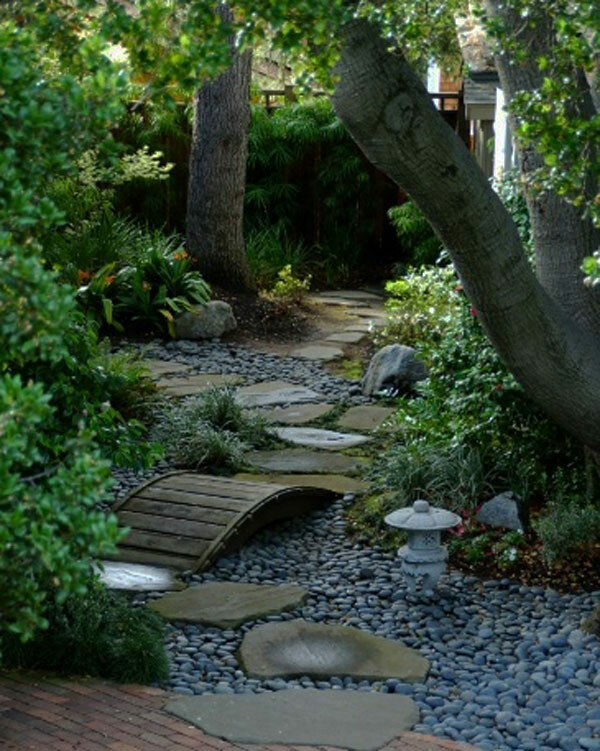 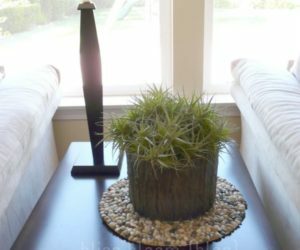 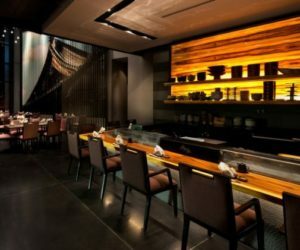 For example, if you want the space to look zen and relaxing, use small pebbles, clean lines and add a bit of Asian flair to the composition as well. 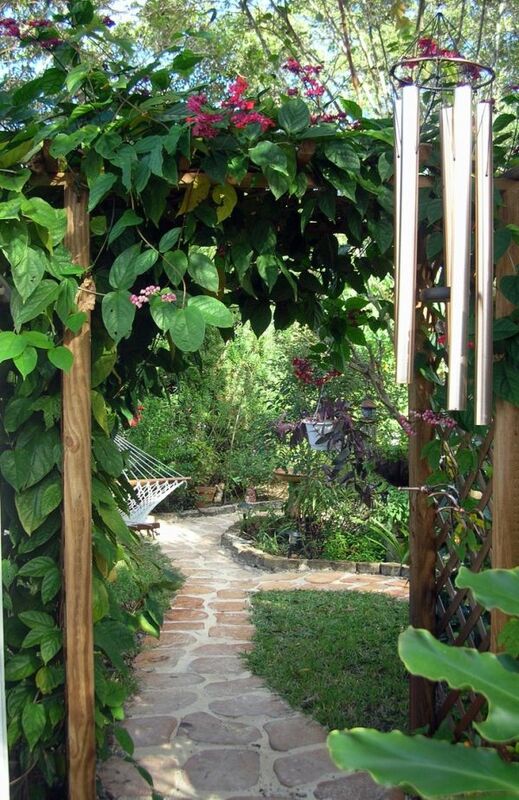 But if you want something rustic and authentic, focus on organic shapes, natural materials and irregular details. 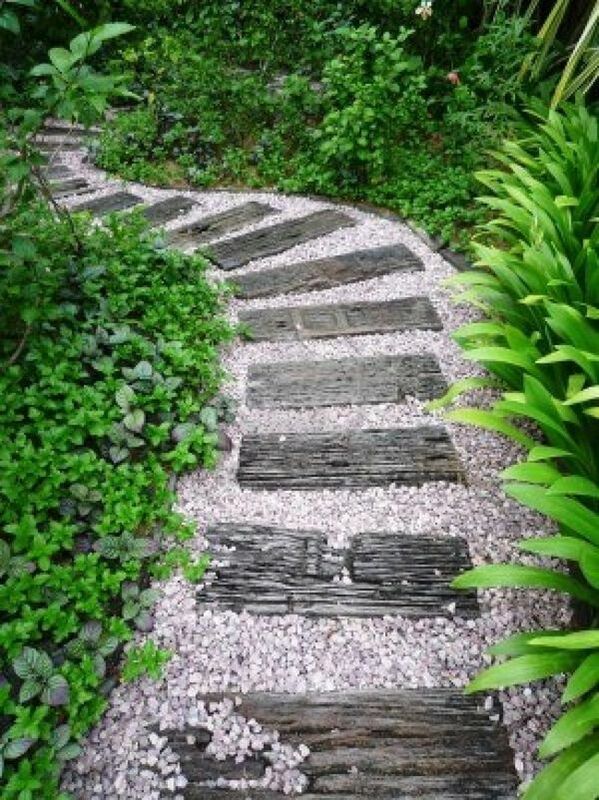 The pathways that have irregular stones in their structure with organic shapes are very charming. 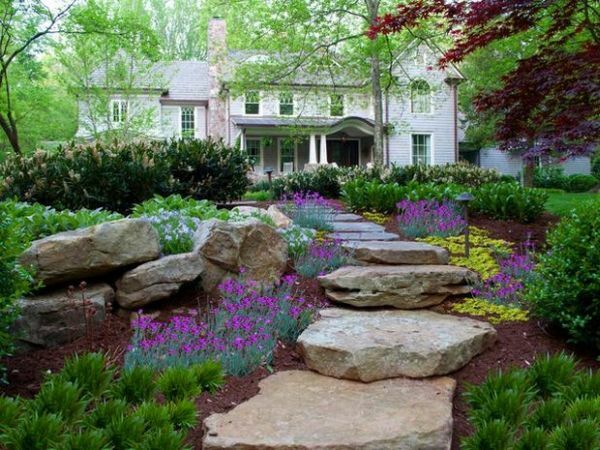 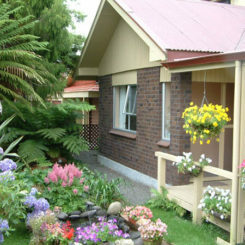 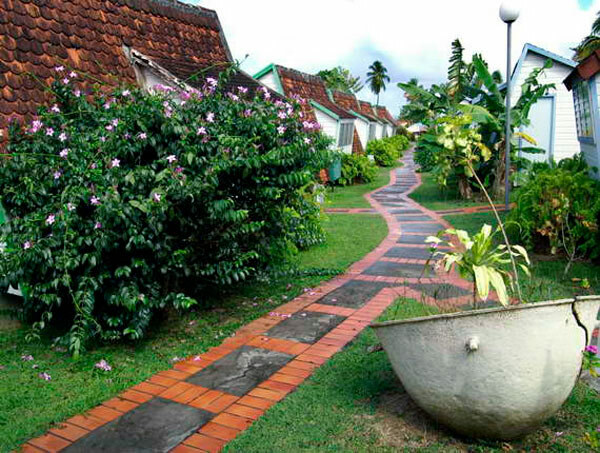 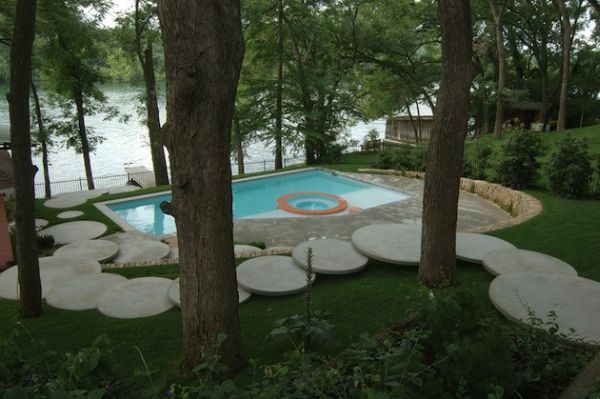 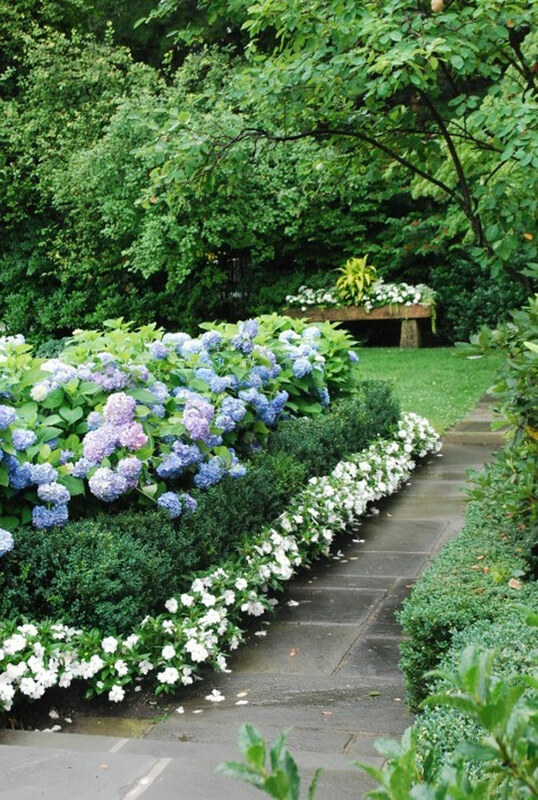 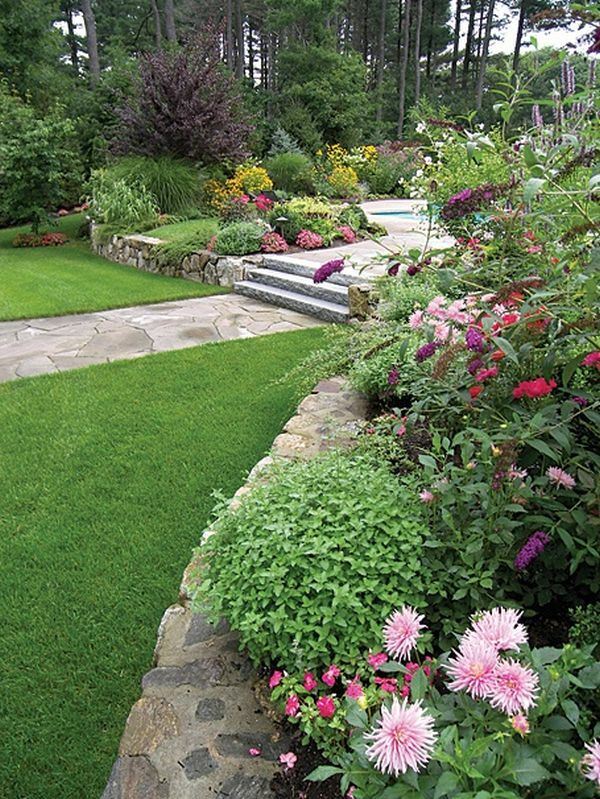 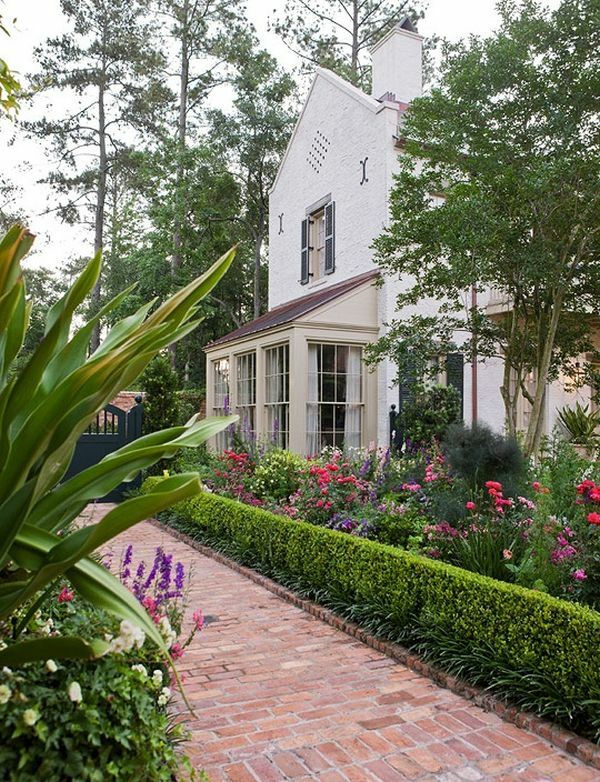 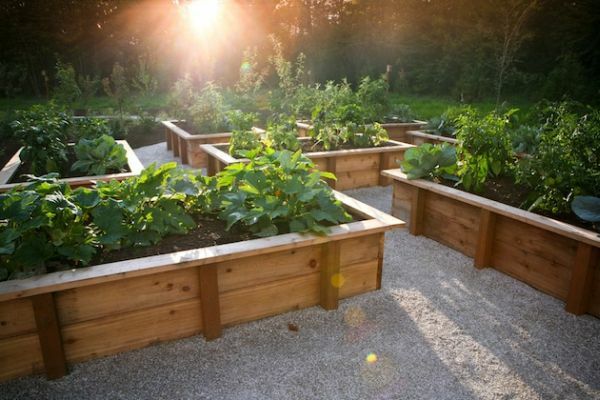 They emphasize the natural charm of the garden and go beautifully with the whole landscape. 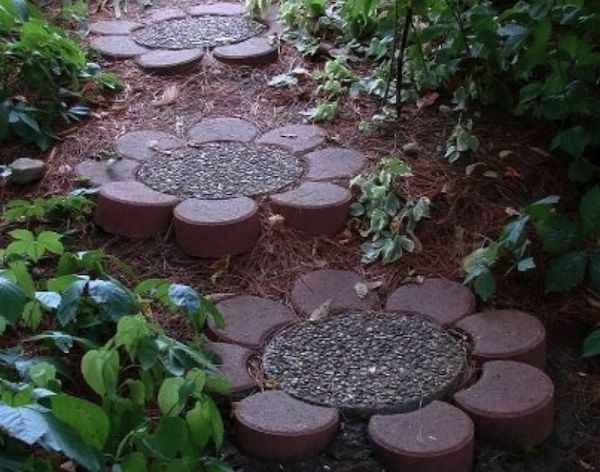 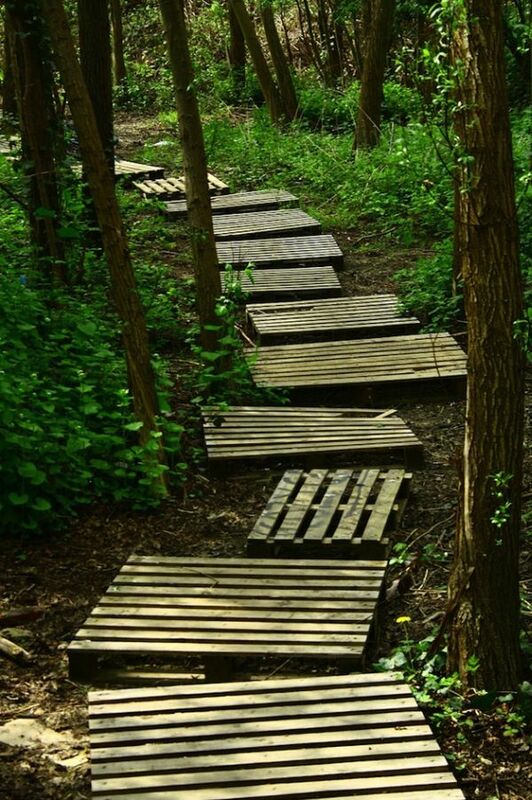 Of course, stone isn’t the only material you can use for a pathway. 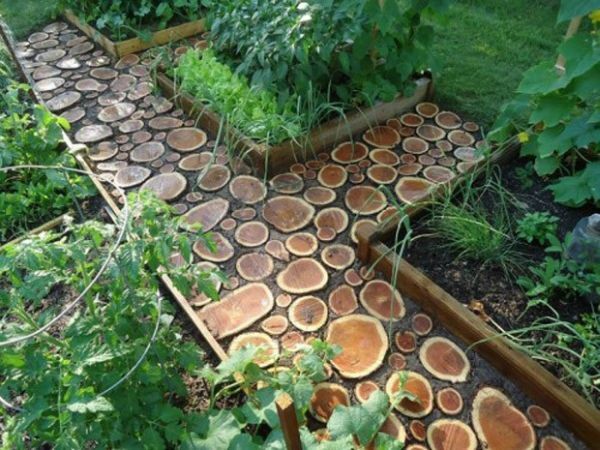 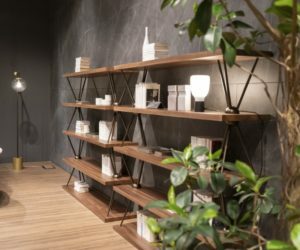 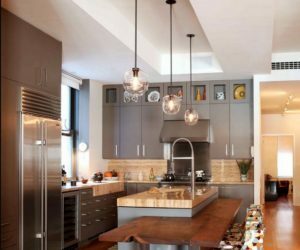 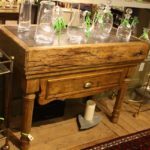 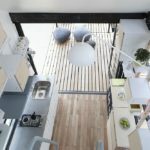 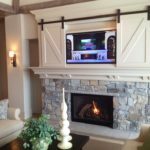 Wood can also be a nice option and, of course, ingenious choices that could include glass, sand and all sorts of other materials.